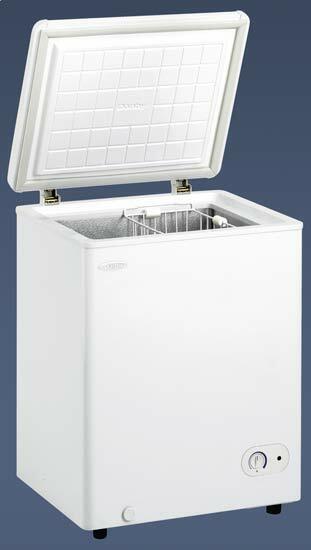 Our smallest compact chest freezer, with a footprint of only 25" x 22", will fit easily into any room. It provides almost 4 cu. ft. of additional freezer space without taking up too much room. A great addition to condos, apartments and small offices tight on space! Product Width 63.2 cm 24 7/8"
Product Depth 55.8 cm 22"
Product Height 83.5 cm 32 7/8"
Shipping Weight 38.9 Kg 85.8 Lbs.